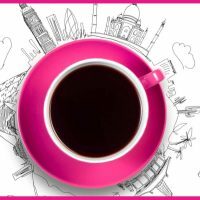 Home » Brew Guides » Flat White vs Latte – What On Earth Is The Difference? Have you noticed the flat white sneaking onto more and more coffee shop menus? Are you unsure exactly what a flat white is and how it is different to a latte? Well you are in the right place! 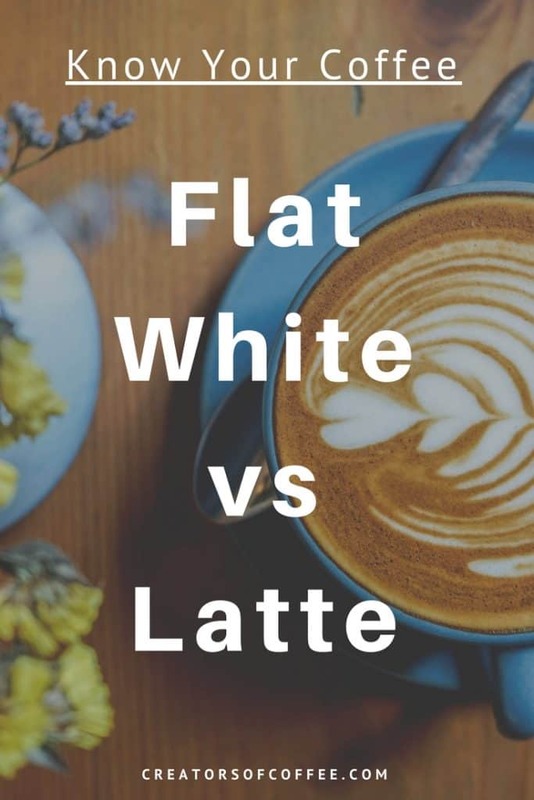 In this first post in our Know Your Coffee series we explain the key differences between a flat white vs latte. While the latte coffee is ubiquitous in America the flat white is the (relatively) new kid on the block. I say relatively as it has been the dominant coffee style in Australia and New Zealand for many years. A large change occurred in the US in 2015 when you could start to order a flat white at Starbucks. But where does the flat white coffee style originate from? Well, the origins are a little contentious. Australians and New Zealanders love to debate the origins of many inventions. Like recipes and even people. The origins of the Flat White is another of these debates. Known to have existed from at least the 1980s, the Flat White is now the most popular coffee drink in Australia. Now it is becoming a firm favourite amongst coffee drinkers around the world. But what exactly is a flat white and how is it different to a latte? Related: Macchiato vs Cappuccino – Do you know the difference? There is much conflicting information about what makes a flat white different to a latte. And let’s be honest there are plenty of baristas who don’t know the difference either. Glass or cup? It is not the vessel that defines the flat white. To differentiate the flat white vs latte we need to talk about the milk. 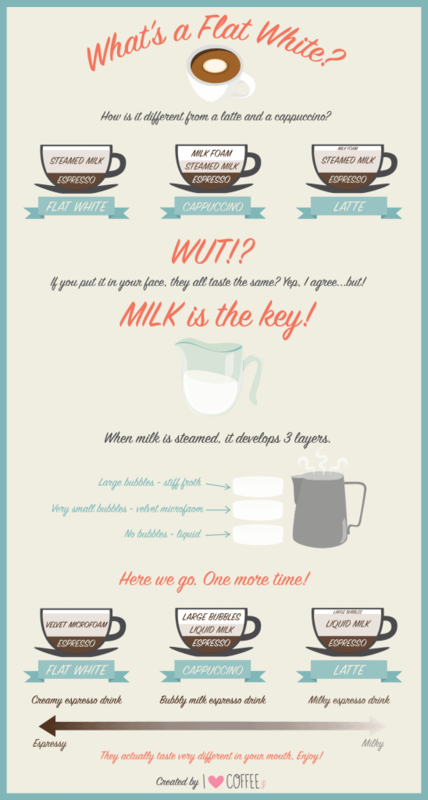 To understand the debate between flat white vs latte you need to understand a little about milk. Baristas often talk about “stretching” the milk. This is the technique used to heat the milk to form texture. It produces velvety, creamy microfoam and froth. When you heat the milk correctly, the flat white and latte will feel and taste different in your mouth. That sounds a little weird, so lets break it down. A flat white is a shot of espresso topped with textured milk. It has a smooth, creamy, velvety texture. The flavour of the espresso is still evident. The crema of the espresso will still be visible on the top of the milk. A flat white will also tend to have only a very thin layer of microfoam on the surface of the cup (hence the name). A latte is a shot of espresso topped with hot liquid milk. A latte will usually be capped with a ½ inch layer of microfoam. A latte will taste milky, is less velvety and there is less flavour of the espresso evident in the cup. Size does not determine the difference in style between a flat white coffee vs latte. A better way to explain how size comes in to play is to understand the coffee to milk ratio. When it comes down to it, a latte should have a higher milk to coffee ratio than a flat white regardless of the cup size. In Australia and New Zealand a standard latte is typically served in a glass between 8-10 oz like these. This is what gives a latte a milkier flavour than a flat white. In the land down under a flat white is typically served in a ceramic cup with saucer in a smaller size cup between 5-8 oz like these ones. The result is a less milky coffee with a stronger espresso flavour than a latte. Do you want to make a flat white at home? Click here to check the price on these 6 ounce coffee cups perfect for a flat white. For latte lovers we recommend these double walled latte glasses. 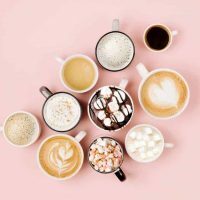 Regardless of whether you order a coffee with one or two shots of espresso, in a large or small cup, the difference between a flat white and a latte is not the size, but the ratio of coffee to milk. The Flat White is gaining popularity in the US. No longer will most baristas stare blankly at you, nor will you feel like a coffee snob for requesting one! It may have something to do with the increasing number of Aussie cafes popping up across the country sharing their flat white expertise. 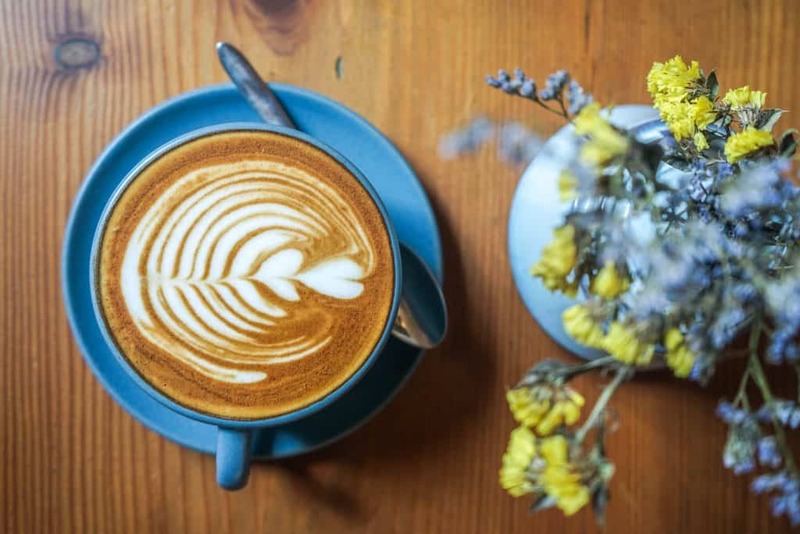 As more people come to appreciate the nuances of speciality coffee, the flat white is appealing as it allows the flavour of the espresso to shine through. For many coffee lovers looking to control their calorie intake or reduce dairy consumption the flat white is a good choice. There are typically less calories in a flat white coffee compared to a latte (due to the lower volume of milk). So now you know the difference, let’s step through how to make flat white coffee at home. 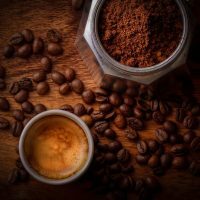 Extract a shot of espresso on your espresso machine using freshly ground espresso coffee beans. Always add the espresso to the cup before the milk. We recommend you use beans that will hold their flavour when mixed milk. Medium dark and dark roast coffee beans work well. Click to see one of our favorites for a milk coffee by Koffee Kult. You want to stretch the milk. Do this by positioning the steam wand just below the surface of the milk in your milk frother and find the magic point where the milk starts to spin in a circle. Once the milk has increased a little in volume, place the steam wand a little further down and continue spinning the milk. The aim is to create velvety texture (microfoam) in the milk. This will also prevent large bubbles forming on the surface of the milk. The temperature of the milk should be between 131-143 F. As soon as the base of the pitcher is too hot to hold your finger on for more than 3 seconds, switch off the steam wand. Expert Tip: An espresso thermometer is a useful tool for beginner coffee makers learning to make great coffee at home. I still use one as it is just so easy to make perfect milk when the temperature is correct. Click to read reviews for this simple and affordable coffee thermometer. It’s all about the pour! Give the pitcher a final swirl to incorporate the froth and the microfoam into the liquid milk. This increases the velvety texture of the milk which is a key difference for flat white vs latte. Keep the pitcher close to the cup and free pour the milk into the centre of the cup. The crema from the espresso should remain in tact and be evident on the surface of the milk. That’s it! Try your hand at creating a piece of art on the top and you have yourself a flat white. Okay hopefully you now know the difference between a flat white v latte. Next time you order at your local coffee house you can be confident in your new found knowledge. Best of all you have the skills to make a flat white at home.